It has happened. 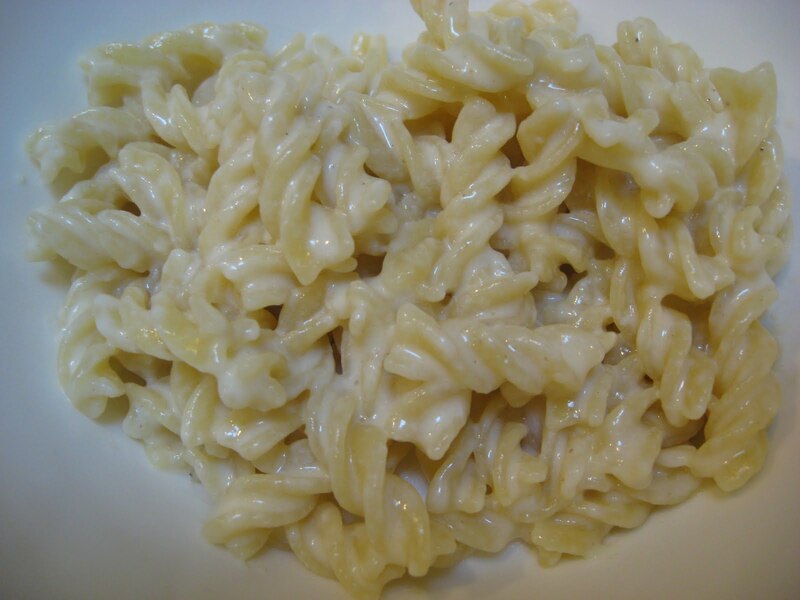 I have found the perfect mac & cheese recipe. I thought for sure it would take me several years of recipe testing before I finally stumbled on the cheesy holy grail, but this recipe fell into my lap (well, my Gmail chat window) recently and I am happy enough to end my search right here. Like the caramelized onions, this recipe comes from someone’s blog. This is One Pot, Stove Top, Creamy Mac and Cheese from White On Rice Couple, and they completely nailed mac & cheese. I’m talking out-of-the-park, 110% deliciousness here. I could decide to never try another mac and cheese recipe in my whole life and would likely not have any deathbed regrets. The magic? Cooking the noodles in the milk. Genius! It keeps things super creamy, and it also keeps cleanup easy since you’re only using one pot. They warn you to stay nearby and stir constantly, and I will back that up. I let it sit for 30 seconds while I grated cheese, and got a layer of scorched milk – it happens quickly and you need to stay around and watch. My only change to the recipe was my noodle choice – I went with mini spirals because they were adorable. I needed to add more milk near the end, because the pasta soaked a lot up, but that may happen with any noodle type, I’m not sure. I love their recipe, because it’s so flexible. Need more milk? Dump it in. Cheese? Whatever you’ve got, nobody’s here to judge you. I used a mix of one part asiago to three parts monterey jack, and it was perfect. I’m actually nervous about changing up the cheeses, because this combination worked so well! Making it superperfect, though, was a simple matter of adding caramelized onions to the bowl. I suspect bacon would have a similar effect. This entry was posted in Uncategorized on August 15, 2011 by antijen.